This inner city, three story home was ready for a re-design to create a more functional master bathroom. The textured quartz mirror was handcrafted on site. It sits above a double vanity in an espresso-finished maple. The quartz counter top houses two under-mount sinks. 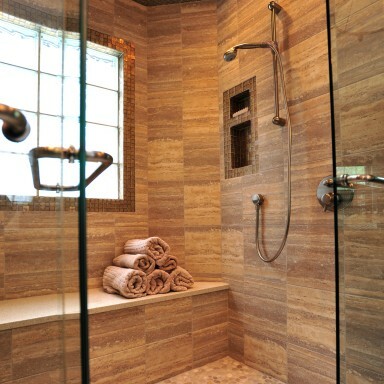 Glass mosaic, porcelain and pebble tile the shower surfaces. The bathroom floor is easy-care porcelain with in-floor heat. A separate water closet with additional storage was created. 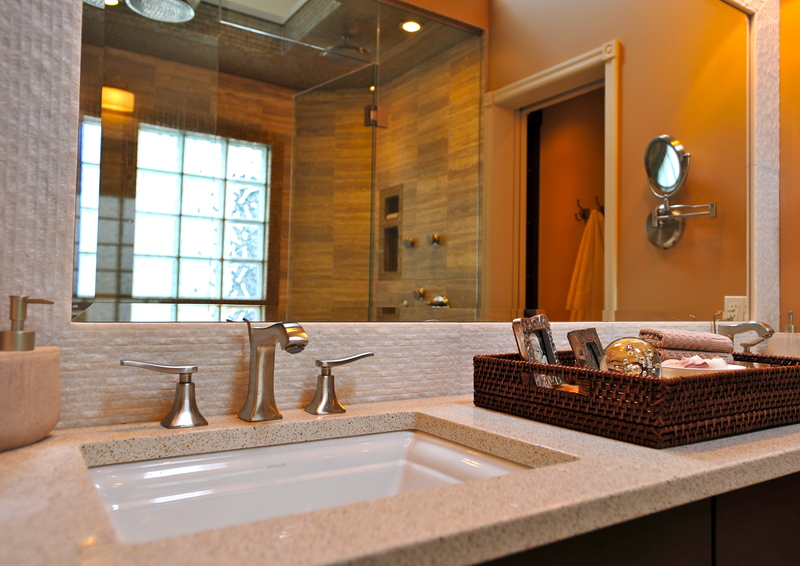 An on-site handcrafted, textured, white quartz mirror frame creates a focal point for this bathroom vanity. Quartz counter tops and under-mount sinks create clean and easy to maintain surfaces. 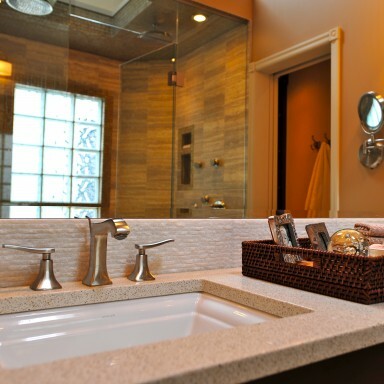 This bathroom was re-designed to create a separate water closet, large vanity with dual sinks and a custom shower. Glass, porcelain and pebble come together to create a soothing atmosphere for a steam shower after working out. The bench below the window is capped in the same quartz used in the vanity counter top. 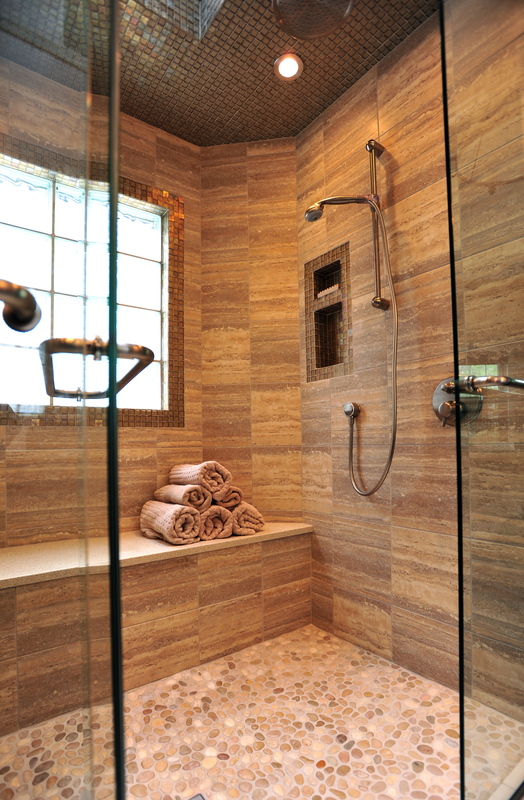 Body sprays and dual rain-head fixtures create a luxurious two-person shower space. The existing skylight box and window were tiled with glass to create a moisture barrier so that the home owners could take advantage of the additional light.